RWE kills trees and the climate! 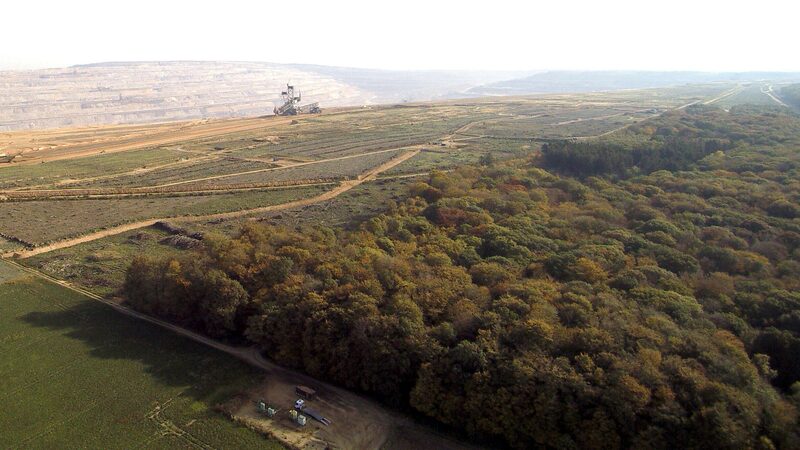 The coal company wants to destroy the last remaining part of Hambach Forest to expand its open-pit coal mine. The following German ministers have the power to stop the destruction. We demand Environment Minister Svenja Schulze, regional Environment Minister Ursula Heinen-Esser, regional Prime Minister Armin Laschet and Economics Minister Peter Altmaier: Save the Hambach Forest now! Our aim is to send 1.000.000 emails to save the Hambach Forest. We're at 853.856 signatures at the moment. Hambach forest in Germany is 12,000 years old. But less than a tenth of it remains. Now the German energy giant, RWE, wants to destroy more of the forest to expand its dirty coal mine – and police have begun forcibly removing the people trying to protect it. Right now in Germany, a coal exit commission is discussing when to cut this polluting fossil fuel from the energy mix once and for all. An ambitious end date for coal is critical to meet global targets to tackle climate change. But energy giant RWE could ruin efforts to protect the climate, if it moves ahead with plans to further clear the ancient Hambach forest and open up new areas for coal mining. The company is trying to undermine a growing consensus on the urgency of quitting coal. We can’t allow this to happen. The following German ministers* have the power to protect Hambach Forest. We demand them to make sure RWE does not clear a single tree while coal exit negotiations are underway. Save the Hambach Forest now! Sign the petition to stop the destruction and call for a prompt phase-out of coal in Germany! while the coal commission is negotiating the phase-out of coal from Germany’s energy mix, energy company RWE is ignoring this fact and wants to single-handedly delay the phase-out. The company plans to clear the last remaining trees in Hambach forest, in order to turn the area into an open-pit coal mine. Clearly, the multinational company is showing publicly that it is not interested in a societal consensus on the phase-out of coal. Please ensure that RWE does not clear any of the forest, so long as negotiations continue on the coal phase-out. Save the Hambach forest! This is a joint action with Greenpeace and Campact e.V.